We all know that this day, and its good intentions, arose out of controversy—first, the very painful controversy surrounding the Civil Rights movement, and then more controversy regarding the personal character of Dr. King himself. Political conservatives, in my opinion, pretty badly missed the boat in dismissing the Civil Rights movement as simply “communist agitation,” first, because it sprang from a serious social problem in our culture and was not simply a minor issue stirred up by enemies of the nation to foment instability. Of course the extreme left sought to use the movement for its own very different ends, but that minor fact hardly renders racial segregation and discrimination minor problems. Both political and religious conservatism are founded solidly on the principle of divine creation of all humans and the rights and respect that come with that status. Conservatism speaks often of equal justice under law. We conservatives missed the boat—badly—on this one. We took the wrong side. And then there’s the second controversy. 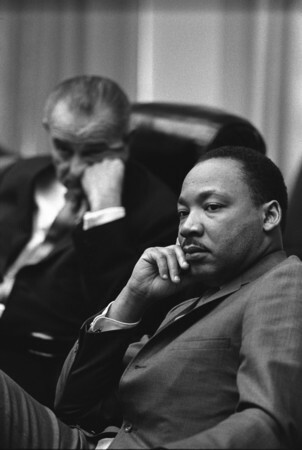 When Congress discussed making Dr. King’s birthday a federal holiday, there was considerable opposition. Some of it, doubtless, came from those who just don’t like black people. Further opposition came from those on the political right who didn’t like anybody aligned with the political left. But some opposed the holiday on the ground that Dr. King was a flawed character, one whose birthday we shouldn’t honor with a federal holiday. Charges were leveled against his memory. The most significant was that he had been unfaithful to his wife. Some charged, based on his acceptance of support from left-wing organizations, that he was a communist. Others noted that while he preached non-violence, violent protests seemed to follow him wherever he went. The character argument received new life several years after President Reagan signed the holiday into law in 1983, when Dr. King was found to have plagiarized his doctoral dissertation in systematic theology at Boston University in 1955. Can we celebrate a holiday as an impetus to social good, based on the noble sentiments expressed in the “I Have a Dream” speech, when the man who gave it was imperfect? Well, obviously we can; that’s what we’re doing. More precisely, then, can we do so in a way that’s morally and intellectually consistent? I think we can. Here’s why. First, everyone is flawed. That doesn’t mean that everyone’s birthday should be a national holiday, but it does mean that all of our heroes—all of them—have feet of clay. Washington, Lincoln, the Pilgrims, our veterans, even St. Valentine!—these are people who sinned and who disappointed themselves and others along the way. But they did not surrender to their sinful natures; they rose, as image-bearers of God, to stand for ideas that were bigger than themselves, ideas that are worth celebrating and promoting. The real question, then, is whether Dr. King did the same, in spite of his status, alongside all of us, as a sinner. That’s a question we have to wrestle with in each of our proposed heroes. In the case of Dr. King, I don’t know whether he was unfaithful to his wife; I don’t know whether he secretly sought to promote violence even as he urged the opposite; I don’t know whether he was an ideological communist—though I’m pretty sure, based on statements and his actions, that he wasn’t. I’m not going to believe those things about him without better evidence than I have, and I’m especially not going to believe those accusations when they come only from his avowed enemies. Now, the plagiarism matter was adjudicated by a panel at his alma mater, and they ruled that he was guilty. In my line of work, that’s a career ender, but there are all kinds of mitigating considerations along the way—intent and extent being the most significant—and I’m not in a position to know the details of those matters either. So what do we have? We have an imperfect man who embraced and promoted high ideals—necessary and good ideals—at significant personal risk, who inspired a great many people to pursue those ideals themselves, whose legacy is directly associated with those ideals, and whose memory is sacred to a lot of people, all of whom are in the image of God, and many of whom are my dear friends and colleagues, of whose character I have no doubt. Can I celebrate this day and the ideals with which it is associated? Well said! Thank you for taking the time to write this. Dan — I grew up in Ohio and in our home the “N” word was a cuss word punishable by a spanking. My parents insistence on the obligation to treat all people, especially those disadvantaged in some way, with equal dignity served me very well. 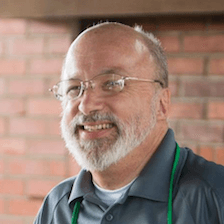 I came to Christ in 1979, moved to Greenville in 1984 and began training for the ministry. Somewhere around 1989-90, my oldest daughter, who was going to the elementary school at BJU and in the 5th grade came home and boldly declared to my wife and me, verbatim, “did you know the war of Northern aggression had absolutely nothing to do with slavery.” STOP! Time for a history lesson! Well, I must admit the history lesson began us much for us as it did for my daughter. We were forced to look at the Civil War from a Southern perspective in ways we had never considered. Having thought about it from every angle I am capable, I have come to a basic conclusion that many godly southern Christians, sincere in their fears and with some legitimate concerns, basically violated the basic ethic of the gospel. The message of freedom from sin is inherent in the gospel of Christ. They absolutely failed to extend this monumental principle to their view of a right social status for all people. Additionally, in some odd effort to uphold the constitution of the United States, where their “freedom” was thought to be at stake, they basically said, by their actions, we feel so strongly about out our freedom that we will not only deny that freedom to others, but we are willing to kill for it. I know many think such a statement is immoderate and an over-simplification, but I stand by it. As to MLK, I interpret his life on the one hand as a civil rights leader, who should never have been compelled to do for the black people what Christian theology so clearly teaches should have been done all along. I do not even believe he led a movement of “civil disobedience”, castigated by many as a violation of Romans 13. Actually, he used the provisions allowed within our own bill of rights and constitutional values to mount a movement for the civil rights of human beings. I thank God he did that. I also view him as a professed preacher of the gospel. Here, more sadly than the rights denied to blacks and justified so indefensibly and so long by whites, is that he, whether intentionally or unintentionally, redefined the redemptive language of Scripture. He took the language of Scripture referring to the rescue and redemption of the individual person through the atonement of Christ and mutated it to refer to the social rescue of a race of people. He is not the only one to do this in history, but he is the one that most notably did it in our lifetime and in the USA. I am able to separate these two aspects. On the one hand, as a civil rights leader, he clearly deserves the status of a brave American hero. On the other hand, and God will be the ultimate judge, while his civil work granted social freedom to many people, his spiritual message has imprisoned many and bound them in chains for eternity. From what I’ve found, he plagiarized more than just his dissertation. Several graduate papers had similar issues. Sadly, some of these were discovered as part of a project undertaken by his wife to compile his writings and honor his memory. Having said that, I still agree with everything you wrote and appreciate the thoughtful eloquence. Besides, who’s going to turn down a 3-day weekend? Not this guy.